Marc shares with a mesmerized audience his studio, thoughts and spirit. Marc Gould moves with a resourceful grace. Mesmerize Yourself visits his studio in Santa Cruz, California. Segments include a music performance by the Aptosians, Marc is a founding member, and a painting session with the ArtEnemys, a partnership between Marc and his son Noah. Lifestyle choices, and a gift of gab, make Marc a consummate spokesperson for creativity. And now clips from Mesmerize Yourself!… Enjoy! childhood art. Art is both temporary and permanent, it depends on where you are looking. How a name can happen. “Mesmerize” has mesmerizing over-and-undertones. This is also a inside look at process through the eyes of Marc. Marc discusses a moment that art, a painting by his salesman father, entered his life. The segment ends with a discussion of UFOs. and time versus the job. Marc values time. makes objects that are in his paintings. He likes to make things that look 10,000 years old. and Very Exciting. Other subjects addressed are privacy and bargain basement objects. Marc, like all Art Talk Talks Art subjects, has an interest in both visual and audio creation. The Aptosians. of which he is a founding member, are his magical musical carpet ride. an idea to start painting? Observation, abstraction and the sublime. a special time in a special place. And do we need to worry about our paintings? a new piece. This is both work and play at the highest level. Are they really Art Enemys? For more on this dynamic duo visit ArtEnemys. by the need to use type, and typography is in Anders’ blood which is in his films. Take a quick tour of Marc Gould’s art studio with your host Dina Scoppettone. Here is where Marc makes things that make Marc Marc. To see more segments of Dina with Marc, his work and studio visit Art Talk Talks Marc. Mesmerize Yourself! was shot at Marc’s studio in Aptos, California over the course of three days. Additional footage used in this film was filmed and photographed by Anders starting in 1991. Anders first met Marc when he came bounding up the stairs of RubberBandLand in the early 70’s and announced in a loud clear voice that we would want to exhibit his work. He was right. Soon, he curated a mail art show in the gallery main room. It was the talk of the post office and visitors. One art student at UCSC actually mailed the show a new gallery floor, which he had come in and secretly measured. Music for the Soundtrack comes from the vast archives of the Aptosians. Noah Gould has a couple of cameo appearances along with a clip visiting him and his father, Marc, at work as the ArtEnemys. Additional photography is provided by Gary Ruble. And now some more background on Marc Gould, a creative soul. Marc reflects light in the peace of his Santa Cruz art studio. Marc Gould… Just never stopped. ……… Mesmerize Yourself! Since my grandmother dropped me off at the Cleveland Museum of Art saturday mornings that summer at age 7, i was free’d from suburban captivity. Into the heart of world culture I went … oil paintings, stone sculpture, artifacts..yes a egyptian gold frog ring, I wanted that! All housed in a grand stone temple. Now I make these things and more. Ideas flowing like water from a broken faucet that once turned on just never stopped. A tip of the hat to my high school art teachers, the psychotropic plant kingdom, modern day alchemists, my artistSon and wild friends; to the demons demi-gods and goddess’ who have helped me on the way. Luckily I was born in an age where one could do as they please in the arts and not get burned at the stake. I get to be free!… the true pearl of great price. Broadcasting here from the most interesting planet in the galaxy I wonder how this all serves the world or even one person? I may never know. What IS past on through the ages are the stories told and the artwork left behind. Did you want to know what Marc sees? Look at his paintings. Local artist Marc Gould was born in Newcastle, Pennsylvania in the summer of 1952. Adopted into a working-class family in Mayfield Heights, Ohio, as a child Marc was independent and sharp-witted. These qualities helped this four-eyed, red-haired oddball fend off the greasy-haired bullies of the day. Believing his salesman father to be an artist because of the few paintings he saw him do inspired him to take up the brush. However, he was first introduced to the world of art by his grandmother. She took him to Saturday classes at the Cleveland Museum of Art at the age of 7. Here he spent hours studying the museum’s vast collection, drawing renditions of his favorite pieces, such as an Egyptian gold frog ring, which he later admitted he had had the desire to steal. These experiences laid the foundation for his lifelong love of the arts. As a young teenager, Marc maintained his independent spirit. Needing a space of his own, he commandeered the basement of his family home. He spent his days studying surrealism while listening to records by artists such as the Silver Apples and The 13th Floor Elevator, painting psychedelic murals on the basement walls, and taking long romps into the depths of nearby wooded areas. The sights and sounds of nature became fundamental to his character and is still a central theme in his art. Throughout his high school years, Marc studied hours each day under cutting-edge art professors in a unique program which provided the students with ample studio space and demanding college-level technical and creative training. Marc was part of a vibrant art community in Cleveland during the mid -1970’s, by which many public and private art and music happenings were staged. One such event led the group to the opening of the Salvador Dali museum in Beachwood, Ohio, where Dali himself was being harangued by reporters. When Dali saw the band of young artists, brandishing fake press-passes arrive in the Country Worm, their surrealistically-painted van, his full attention turned to their arrival. Depriving the authentic reporters of their story, he spent the rest of the afternoon cavorting with these intriguing youths and posing with them for offbeat photo ops. This experience and many others like it inspired the group to amp up their artistic efforts, leading to collaborative art projects such as the cult classic film, Eskimo King, the altering of many billboards with a group called the Regional Art Terrorists, and the formation of the no wave band Freddy and the Fuzztones. Empowered by a teacher during a brief enrollment at the Cleveland Institute of Art, Marc moved west. 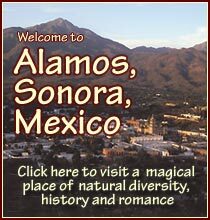 Settling in Capitola, California, he was quickly adopted into another circle of inspired young artists. This group focused their efforts on new wave neo-Dada multimedia works, pioneering a photographic technique developed by Gary Aro Ruble using time-lapse exposures which they called Power Flicks, among other artistic safaris. 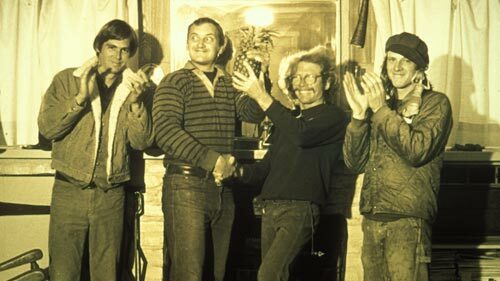 Anders, Gary Ruble, Marc Gould and Jeff Williams with the Golden Pineapple Award. 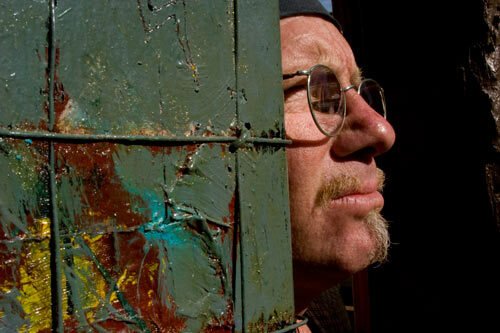 Marc moved to Aptos, CA where this community still maintains both music and art studios, and where Marc continues to expand an exuberance for all that is art (good art). His first art show in California was at Rubberbandland Studios in Santa Cruz, an elastic alliance of creative artists. Marc has remained prolific in his practice and versatile in his production, moving from naturalistic and surreal subjects done in traditional, old-master-style techniques to post-modern expressions in both painting and sculpture. His ever-expanding body of work has continued to inspire and impress an ever-growing number of friends, clients and co-conspirators. Among his co-conspirators is his son, Noah Gould, an academically-trained painter. Working in tandem, The ArtEnemys, as they call themselves, create collaborative large-scale works, on which both artists work simultaneously. They produce colorful compositions which neither would have come up with on their own. 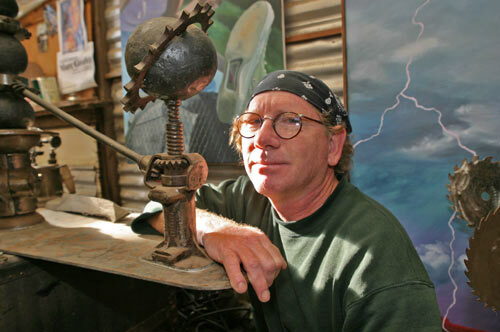 Marc Gould, humble landscaper, artist, father and friend, however illusive to the mainstream, is a pillar and an asset to the art world, and will continue to be into this new millennia, in stone, steel and canvas. An Independent Spirit was written by Noah Gould and edited by Kim Dowling. For more information on Marc visit marcgould.com and artenemys. 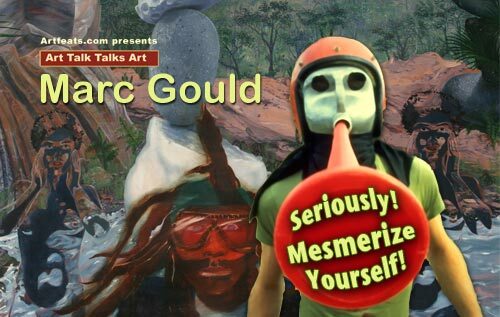 , March 6th 2010 | Tags: Art Talk Dvds, Art Talk Talks Art, Marc Gould, Mesmorize Yourself! This page took 0.641 seconds of computer labor to produce.